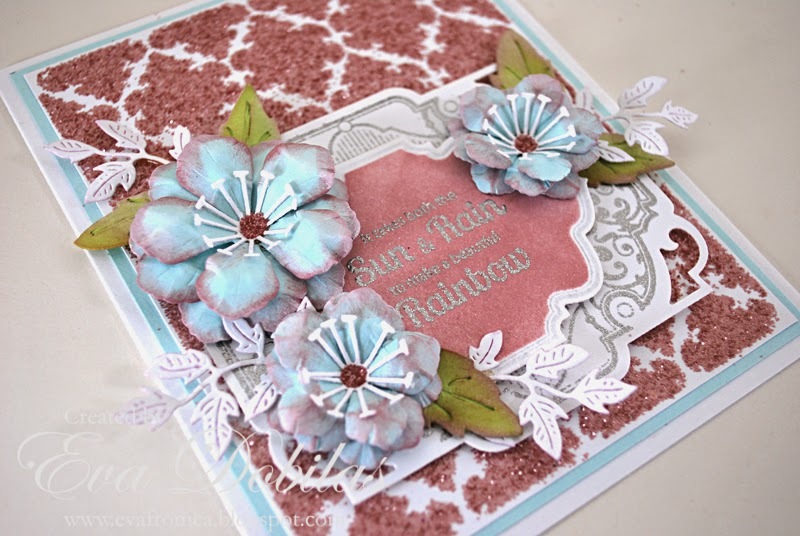 Hi there, welcome to JustRite Papercrafts September release! Our design team is back showcasing pretty projects with new stamps, so let me start sharing with you my first card of the month. My card is using two brand new stamps. Sunshine Vintage Labels Eight and Nine and Garden Trellis Background stamps. First I started out with my background. I decided to go with a lot of glam and used my Ranger Tim Holtz Distress glitters. I think it turned out quite beautiful, specially in person. Than I used my JustRite Papercrafts Vintage Labels Eight dies to emboss my label image on using silver embossing powder. I also did the same with my sentiment and colored it in with distress ink. Finally to dress it up even more I used Cheery Lynn Dies..lots of it..Judy's Blooms with Embellishments #3 and Ivy Strip. And now let me share with you what these pretty stamps look like. Here is what Sunshine Vintage Labels Eight and Nine stamp looks like. 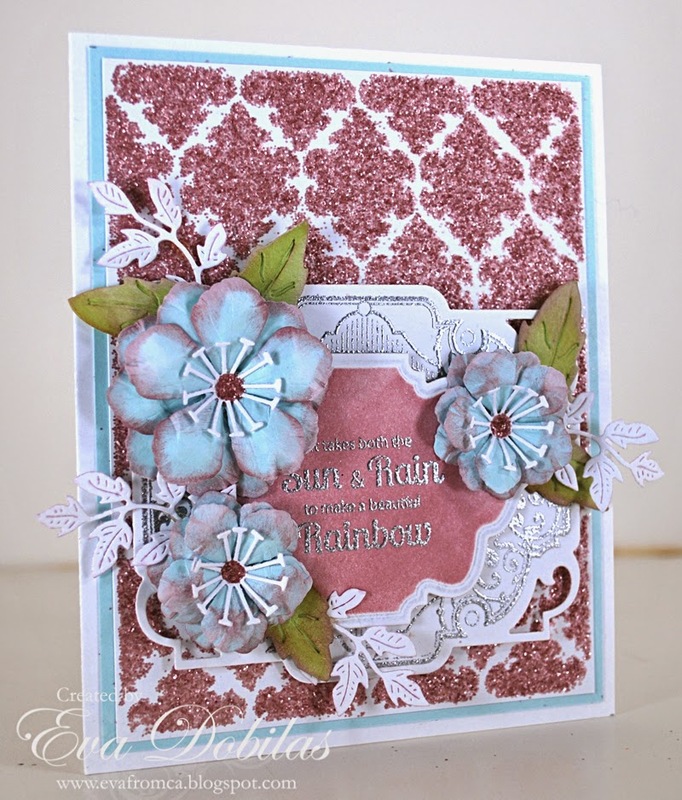 And here is what the Garden Trellis Background stamp looks like. And if this isn't enough enticing for you. JustRite Papercrafts is having a sale on the 6x8 clear stamps, even new ones. What a great deal! You can just add those in the cart as you shop for new goodies. Well, that is is for today. Wishing you a beautiful day and hope to see you tomorrow again!